May purchase 1 for yourself. May redeem 1 per visit. Must use entire value in 1 visit. Appointment required; subject to availability. Not valid on holidays or holiday weekends. New customers only. Expires 4 months after purchase. See the terms that apply to all deals. Massage has many therapeutic benefits. It can increase overall health and wellness, help with specific health concerns, speed healing from injuries, and offer pain relief. 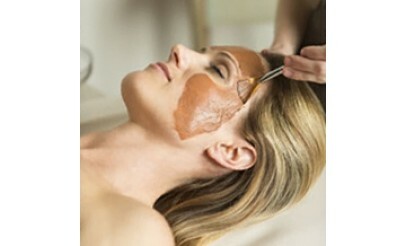 Customized facial services will exfoliate, replenish, and nourish your skin with soothing techniques and organic products that suit your skin type. At Sage Leaf Spa, they believe that proper care and nurturing of your body and skin is essential to your well being. Their highly skilled team of therapists and estheticians use the finest quality products and work closely with you to customize treatments for your individual needs, that leave you walking out refreshed and renewed.